The 32 year old proprietor Lydia Nandudu, is credited in the Uganda’ tourism industry for introducing a new Uganda safari product to supplement the gorilla trekking safaris in the hills of Nkuringo gorilla trekking region in Bwindi Impenetrable National Park south west of Uganda. Making a turning point on the day she met Robert Berierley in the public commuter Taxi transferring from Uganda House to Luzira in the year 2007. He offered her an opportunity to work as a researcher for the Uganda Travel Planner his online company that was aiming at exposing tourism business through internet connection to connect with travelers which would then undertake safaris to Uganda. The job enabled her to get exposed to various parts of Uganda and with $5,000 savings; she managed to put up Nkuringo Walking safaris. 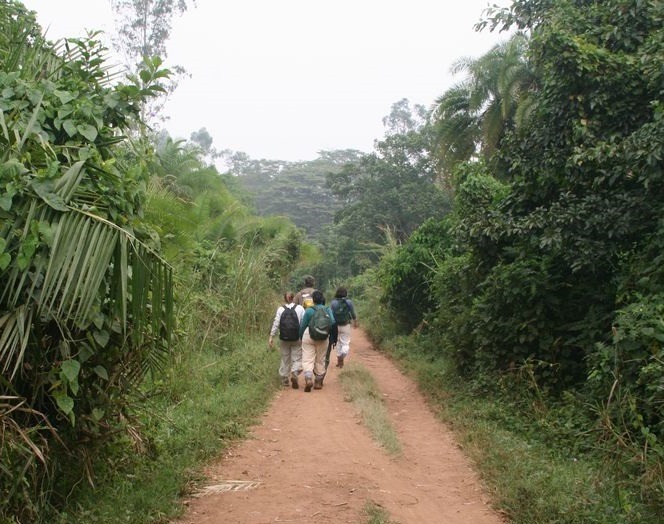 The initiative for walking was seen as an alternative that would complement Uganda gorilla safaris in the area. Thus by introducing new activities was considered rewarding and increasing the product base that would be encountered by travelers on safaris and tours in Uganda. Among the popular trails under this initiative is the trail from Buhoma to Nkuringo and Kisoro with a canoe excursion on Lake Mutanda. A range of tour operators sell thus product . The Batwa people thriving in Buniga forest are also incorporated to generate complete experience.